Spanish version from La Izquierda Diario, June 6th, 2015. 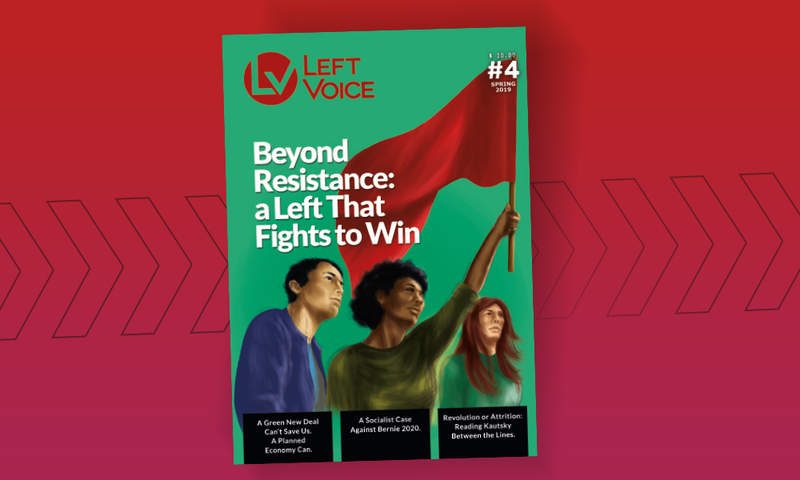 Earlier this year a wide range of left-wing organizations gathered around what was called “A broad left pole” to support the Left and Workers’ Front (FIT). The question then was posed whether to admit new political groups to the FIT, some of whom explicitly disagreed with part of our program. The conforming forces (PTS, PO, IS) decided that an honest debate about the program was needed before they could join the FIT. A few days later, however, Partido Obrero (PO) and Izquierda Socialista (IS) decided unilaterally to cede some of their candidacies to Pueblo en Marcha, Comunismo Revolucionario and other currents of the populist left. A large part of Jorge Altamira’s closing speech at the Ferro rally was dedicated to indirectly polemicizing against the PTS, who allegedly “do not understand” that the FIT is a form of the United Front. In this area, Altamira has created an enormous confusion between the meaning of the United Front for the organisation and struggle of the working class, something that the PO has always historically opposed (and would be very healthy for it to change now), and the supposed “United Front” on the electoral field, which has been the foundation of the historic Popular Front agreements that have liquidated the political independence of the workers (such as the first Popular Front and later on the Izquierda Unida (United Left) of the old Movement for Socialism (MAS) and the Communist Party in the 1980s). Altamira had already stated in an interview in the Izquierda Socialista (Socialist Left) newspaper “El Socialista” (The Socialist) No. 292, that “the defense of the United Front is the great strategic delimitation and principle at the heart of the Left Front”. In this way he intends to justify the conformation of the lists to the PASO (first round of elections). This is ridiculous, for how can a difference of “strategy and principles” be resolved in a bourgeois primary election? Let us first try to clear up the confusion, since the objective is to “factionally” arm their members against the so-called “sectarianism” of the PTS, which has led the PO to defend assertions that have nothing to do with the tactical and strategic lessons of the first congresses of the Communist International that we as Marxists defend. Revolutionary Marxism has always sustained that, in the electoral field, what is needed is not the “United Front” but programmatic political agitation towards the masses. The workers’ united front is for action (as Altamira said himself, but he was referring to “electoral action”). The electoral front is for the dissemination of ideas and program. Although in the history of revolutionary working class organisations there has been the specific tactic of voting for the mass reformist workers’ parties, even in these cases the key is political agitation that is independent of the reformists. The workers’ united front, for action, does not require a finished political program more than the program for the progressive action of the working class, whether it be defensive (such as those promoted by the Third Congress of the Communist International, against the various attacks of capital on the workers and their organisations) or offensive (with the creation of workers’ councils or soviets, as Trotsky points out in the History of the Russian Revolution). Trotsky indicated that in this form the United Front will allow for the broadest organisation of the exploited and oppressed masses, workers’ democracy will develop through the freedom of tendencies, and the struggle will move towards the perspective of the seizure of power. Some of this was raised by Altamira at the rally, but this in itself raises two important problems. On the one hand, historically the PO has always opposed organisations for the coordination of sectors in struggle, embryonic “councilist” experiences, such as the Coordinadora del Alto Valle (Coordinating Committee of Alto Valle in the province of Neuquén) which was spearheaded by the workers of Zanon and the organisations of the unemployed. We are always accused of being “soviet fetishists”, as if we somehow underestimate the construction of the party with the emphasis that we always give to the self-organisation of the masses (workers, students and the people) and the vanguard. 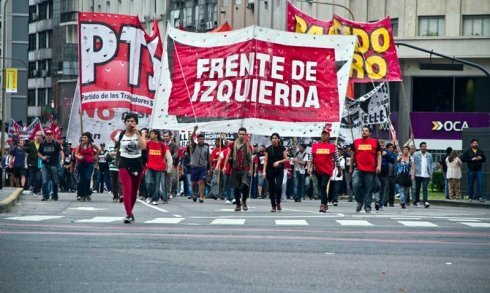 Just last year, PO opposed the Encuentro Sindical Combativo de Atlanta (Meeting of Fighting Unions, held at the Atlanta Stadium in the Villa Crespo district of Buenos Aires) that we, along with “Pollo” Sobrero, the IS and “Perro” Santillan all promoted. 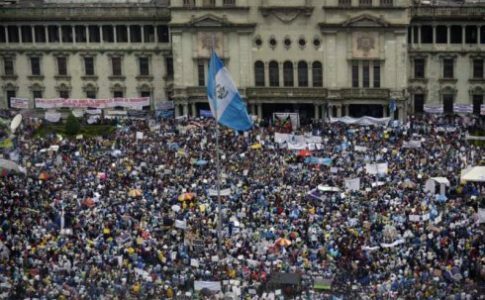 The PO then boycotted the subsequent regional meetings that were attended by thousands of workers (in particular in the northern zone of Buenos Aires, where the meetings prepared for the conflicts at Gestamp, Lear and Donnelley, the toughest battles of 2014). On the other hand, Altamira presented the “United Front”, including the development of workers’ democracy within it, and compared it to its “maximum expression” as a workers’ government. But what he did not say is that workers’ (or Soviet) democracy is the means by which the revolutionary party must defeat all the centrist and reformist tendencies within the “soviets”, for if not, these soviets will be transformed into organisations of conciliation with the bourgeois regime (as was the case for example in the Russian Revolution between February and October 1917, and the German Revolution of 1918-19). Thus, the FIT is not a “United Front” but a political-programmatic pole, based on class independence, of currents that consider themselves to be working class and socialist. 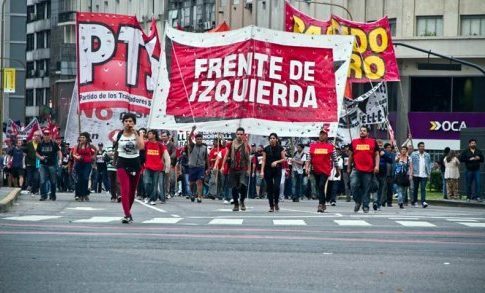 This is a highly progressive development in a country where the working class has suffered harsh defeats at the hands of the bourgeois leadership of Peronism and the trade union bureaucracy, defeats that are still largely with us today. 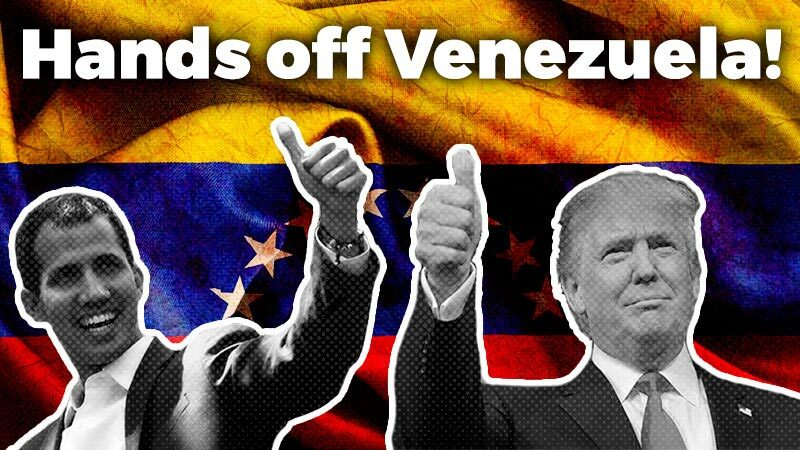 In the tradition of revolutionary Marxism in the twentieth century you will not find examples of important revolutionary parties that have presented electoral alliances with reformist, petty bourgeois or populist forces as a “United Front”. On the contrary, these kind of common electoral “experiences” were always strongly denounced by Trotsky and other Marxists as popular fronts or their “embryos”. That is, as organisations for the “anesthetizing” and misleading of the working class and its vanguard. Altamira’s speech develops a turn that the PO has taken: that of sectarianism towards real united fronts, and apology towards united electoral fronts. Let us recall that Solano, in the “Prensa Obrera” (Workers’ Press) of May 21, has already raised the idea that “we do not at any time stop our defense of and propaganda for our program, but we subordinate it and complement it with the development of the United Front”. That is to say, they “subordinate” the “defense” of the program to an agreement with popular-frontist currents as if it were a workers’ united front, which (we repeat) is always for struggle, for “marching separately and striking together”. Part of the PO’s attacks on the PTS is that, for us, the FIT is “disputed territory”, for they want to give the impression that we are not interested in its progress as a political coalition of class independence, a question which is totally contradicted by the election campaigns we have advanced, campaigns in which we have assumed central responsibility, such as in Mendoza, Santa Fe and Neuquén, and others we have been active in, such as in CABA or Córdoba. Another issue is that, even without being a “United Front” but a pole of class independence, to the extent that we are not a common party, there will be logical tensions, debates and disputes around the defense of the positions of each party. The next upsurge in the labor movement will allow us to test, in the living experience of the class struggle, the tactical and strategic orientation of each organisation, and will open the road to the splits and fusions that tend to build a large common revolutionary party. The theoretical differences on the United Front and electoral fronts that we have outlined do not constitute differences in the political arena of a magnitude that would justify the breakdown of the Left Front on the basis of programmatic issues. The question of differences over how to incorporate currents that are approaching the FIT, but do not share our program and founding principles, has nothing to do with the PASO. They only want to resolve the main candidacies that they want to keep for the PO, along with the IS; that is the real explanation for their refusal to agree to a formula and a common list of the three currents in the FIT. The weight that Altamira gave to the question of the “United Front” at the Ferro rally has no other objective than to ignore our calls for unity and to give their membership some basis for attacking the “sectarianism” of the PTS. (*) The author is a national leader of the PTS.